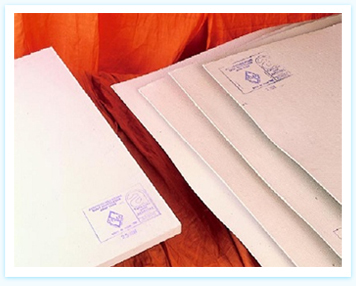 We offer asbestos millboard that is fabricated from selected clean, long asbestos fibres of uniform quality assorted with suitable incombustible binding materials. These millboards are known for its features such as heat and fire resistance and strength. Our millboards are perfect at temperatures up to 500�C (932" F) and even higher temperature when properly supported. Additionally, it can be used acceptably at extreme temperature up to approximately 1400 C. These are also known for its features such as withstanding vibratory and impact loads easily. Number of sheets in one crate varies according to board thickness.